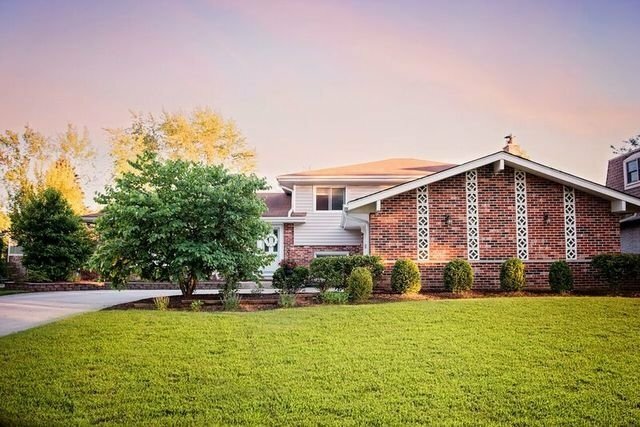 Perfect place to call HOME! 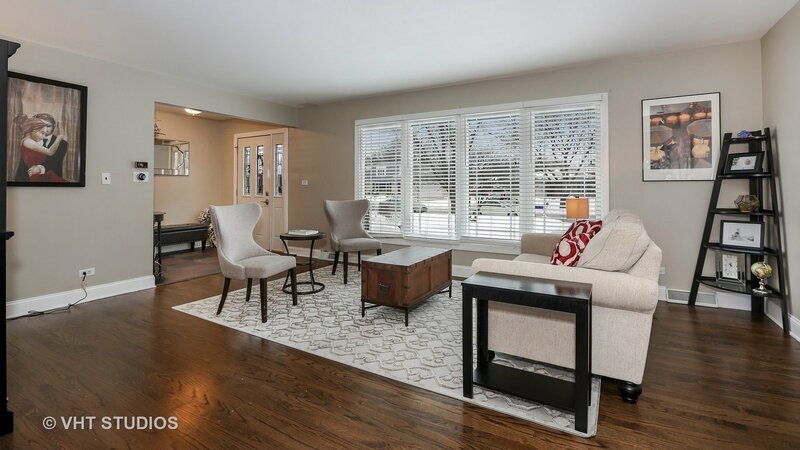 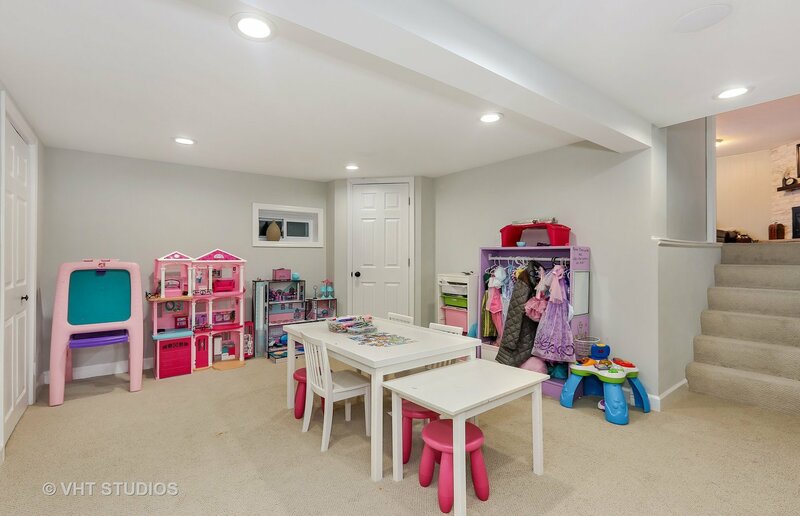 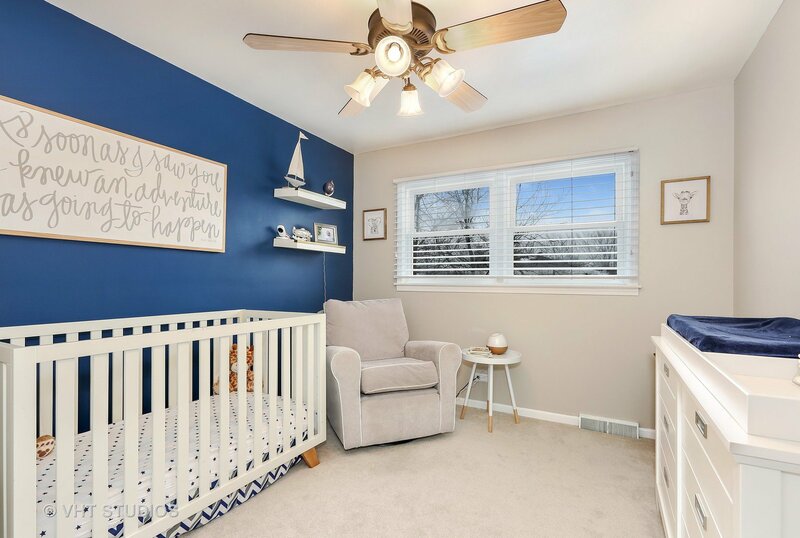 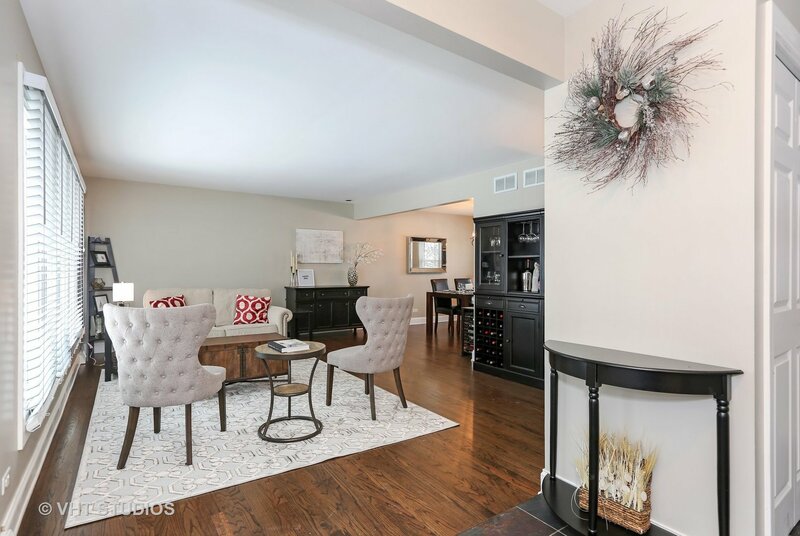 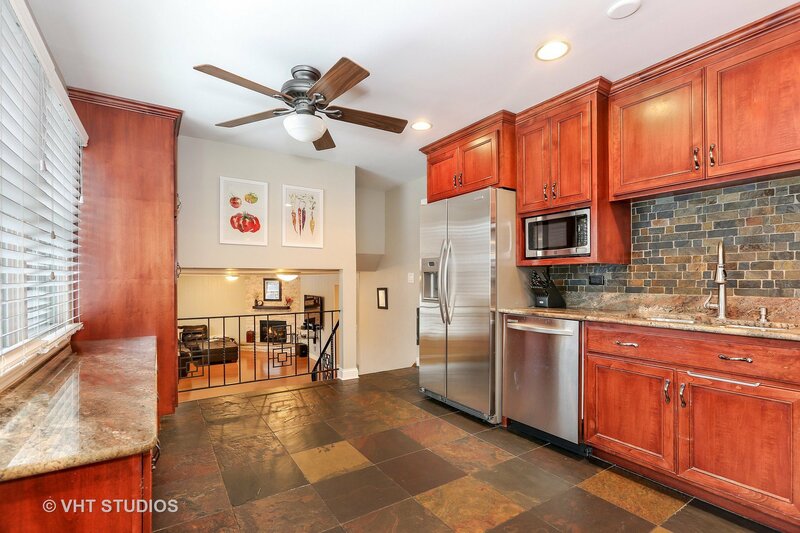 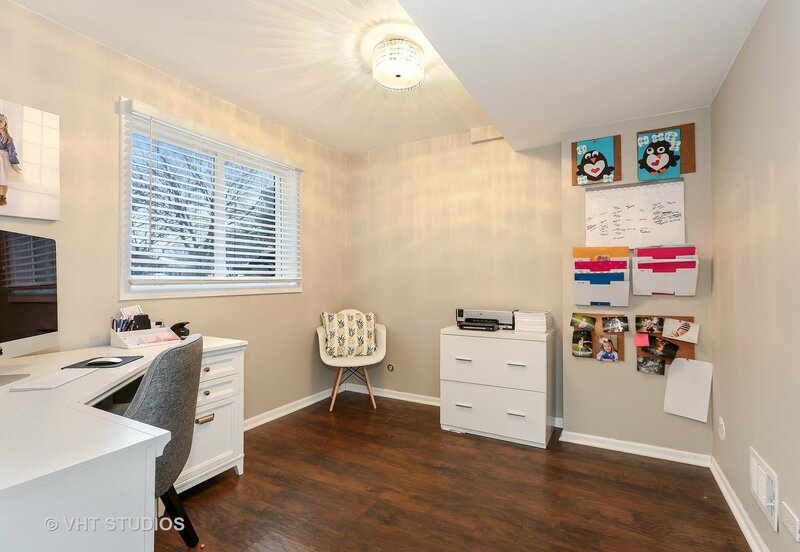 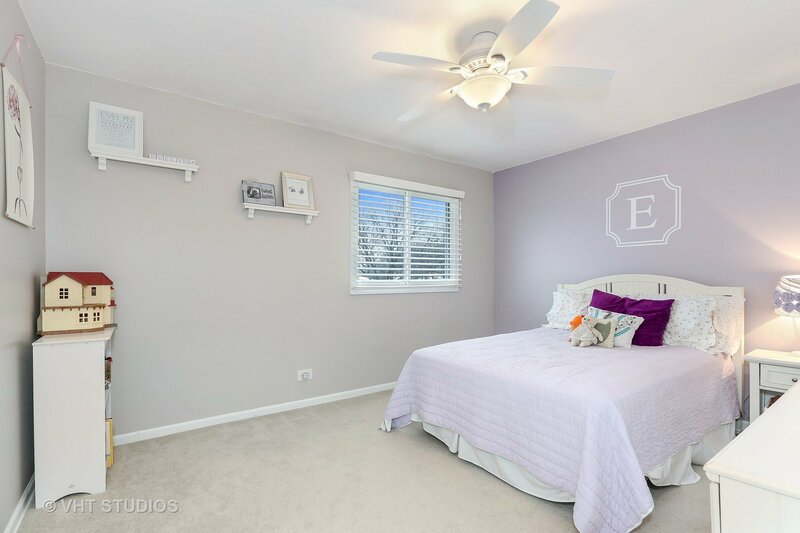 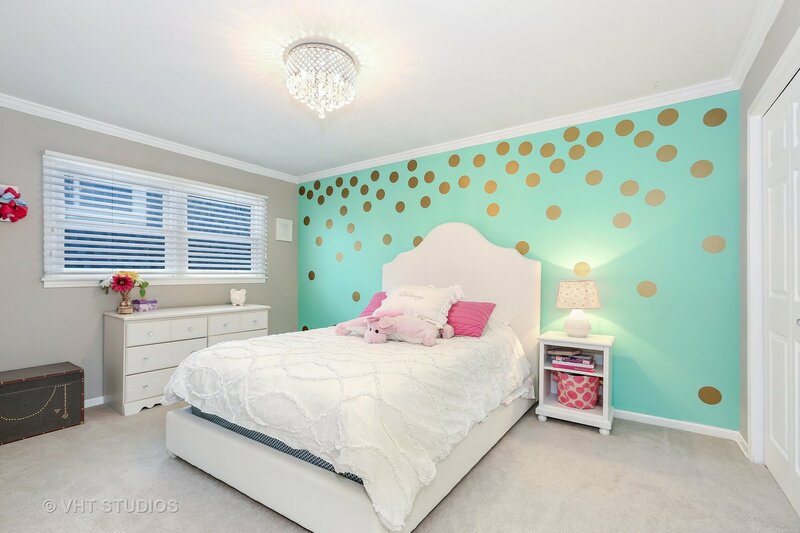 Bright & updated with today's buyers in mind-this expanded split with newly finished sub-basement is located on a quiet street & only steps to school & park. 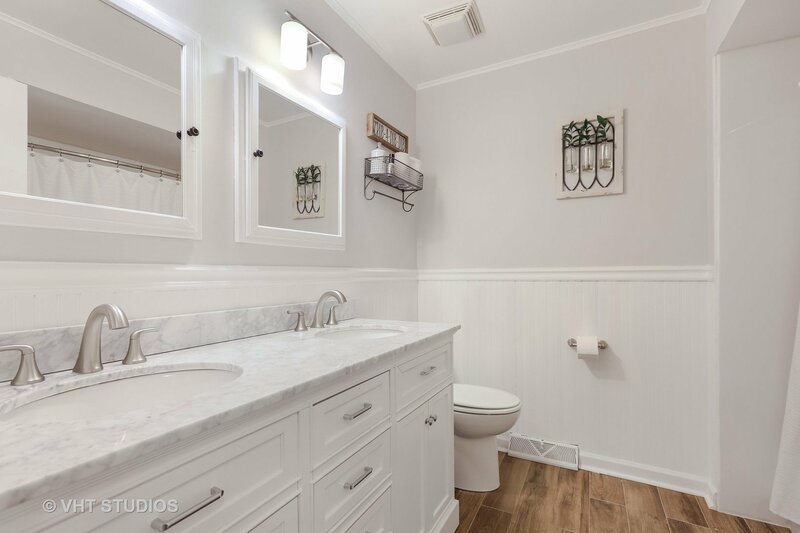 Inside you'll find slate & refinished dark HW floors, newer interior 6 panel white doors and trim, newer custom blinds throughout, crown moulding, stainless appliances & freshly painted in today's colors. 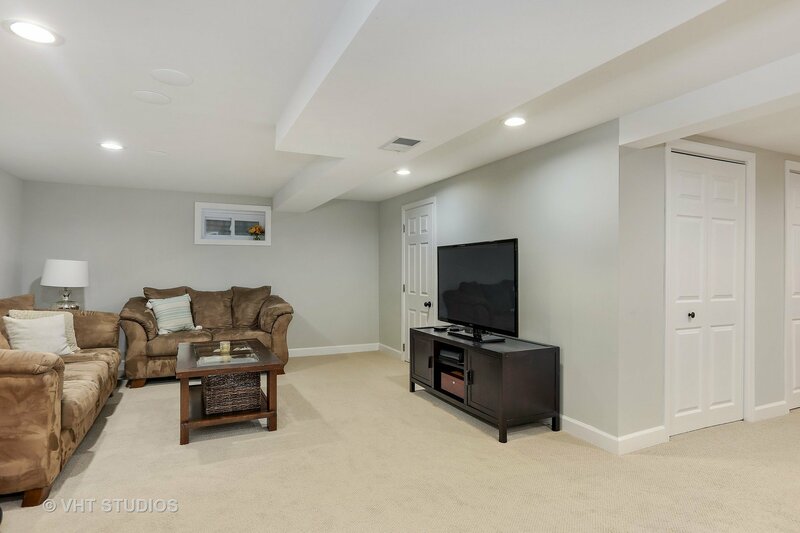 Main level is open & perfect for entertaining. 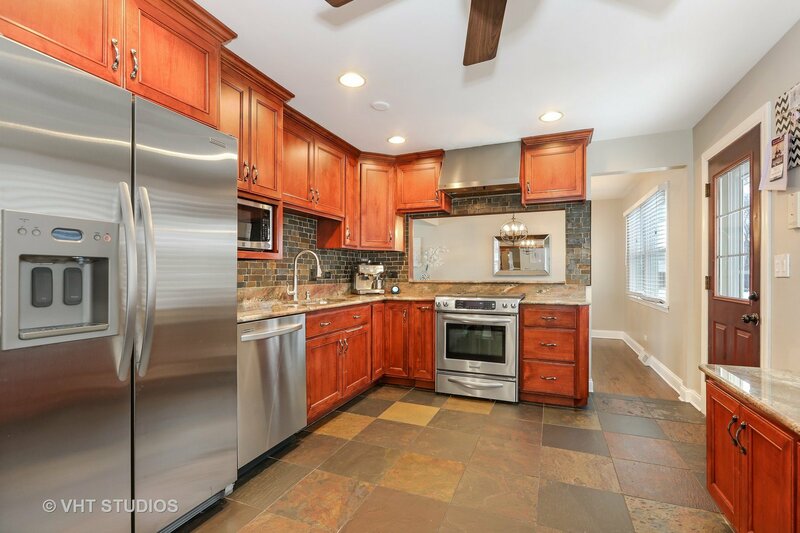 Kitchen w/granite counters, plenty of cabinets and overlooks the professionally landscaped yard. 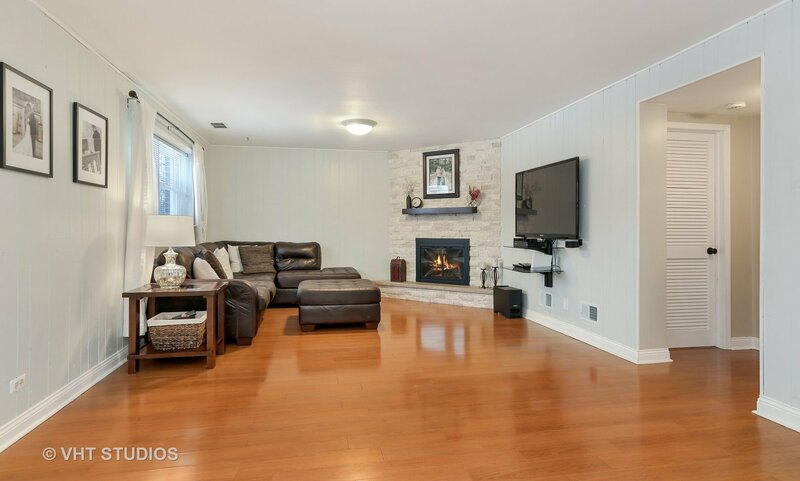 Large lower level features a family room with new stone fireplace surround, remodeled bath, laundry room and a home office or addl BR w/newer laminate flooring. 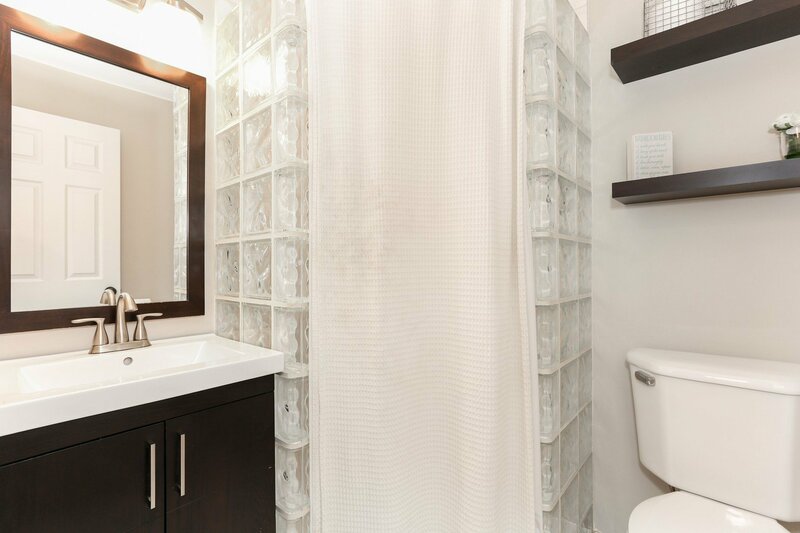 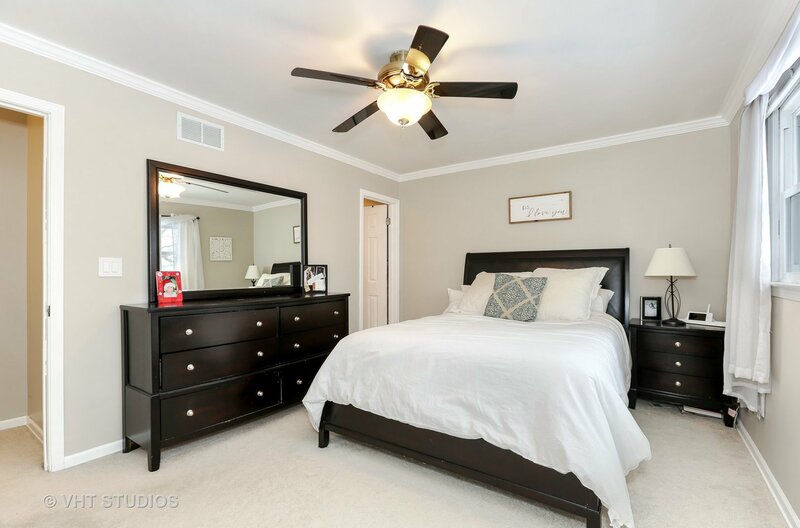 The master BR offers large closet, new paint & private bathroom. 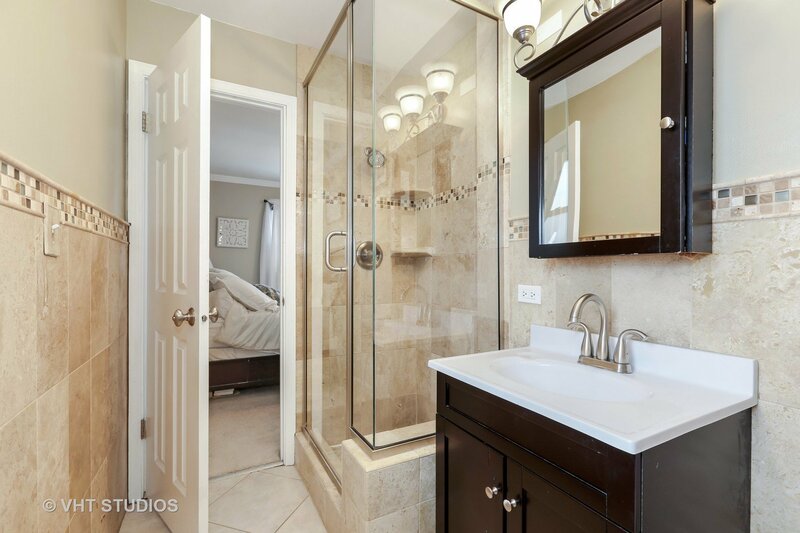 Large BR sizes.Hall bath newly updated in Pottery Barn style. 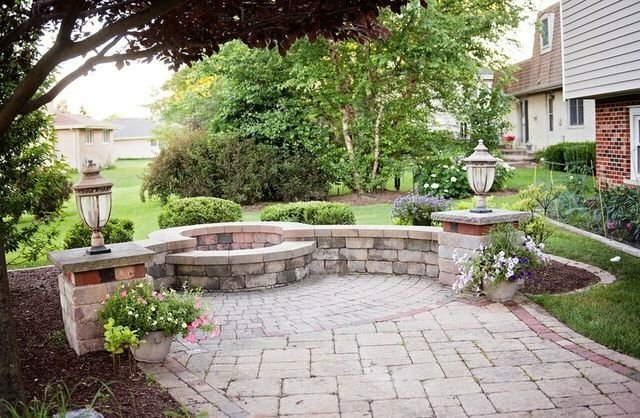 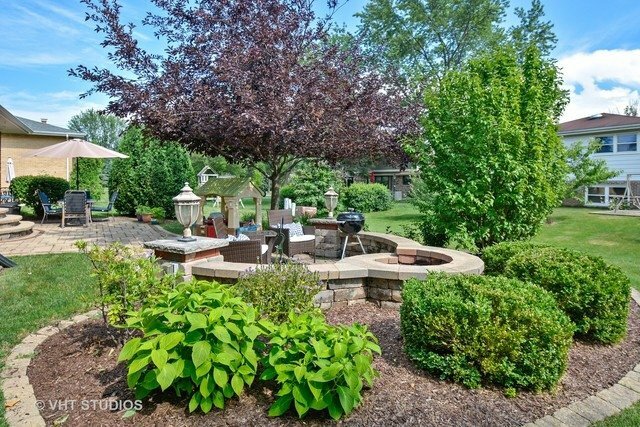 Imagine summer evenings on the beautiful brick patio with firepit. 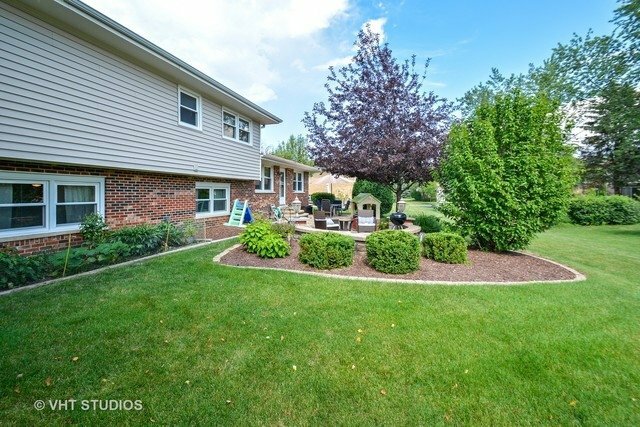 Newer roof, siding, Thermopane windows & garage door. 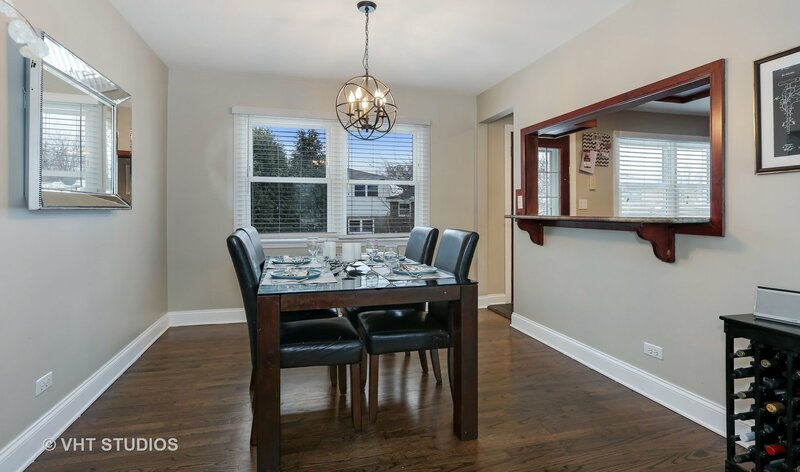 Minutes drive to expressways, fine dining and shopping.